If you’re a solo practitioner, you’re expected to process release of medical information requests just like larger healthcare providers. But unlike larger organizations, you don’t have vast administrative resources at your fingertips. Leverage ChartRequest to increase operational efficiencies, focus on patients, and give your administrative staff a much-needed break. 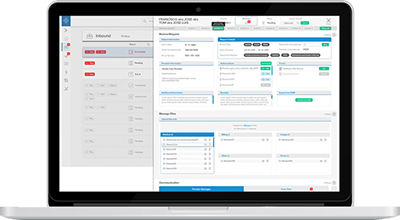 Tired of receiving umpteen calls from a patient—each time you release a record?Help your staff streamline release of medical information.While ChartRequest allows you to exchange and track records electronically, it offers so much more. 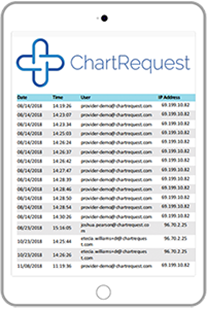 With the ChartRequest platform, patients (and other requesters) can easily view the status of a medical record online.That means less unnecessary communication and more operational efficiency that drives growth. Violating HIPAA rules can easily sink your practice. Steer clear of unauthorized disclosures with ChartRequest. Our HIPAA-compliant platform follows the minimum necessary standard and double-verifies every request. And should you ever experience an audit, rely on our complete audit trail. 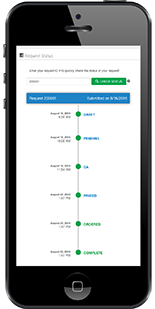 For any request, ChartRequest tracks the user, date, time, IP address, and action taken. 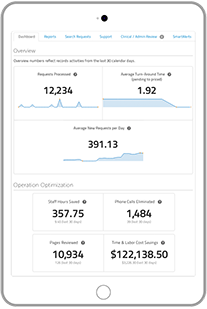 Shorten the gap between request and payment. ChartRequest leverages complex pricing algorithms for your reimbursements. Our pricing strategies include state statutes, federal statutes, workers’ compensation, disability, social security, and more. Cut unnecessary costs, and make the release of medical information convenient.